The United States was that great vision of our Founding Fathers, a place where individuals could pursue their own happiness without the coercive, overbearing forces of government dictating all of the terms. Indeed, we separated from the British Empire and have grown from a small, agrarian republic to eventually become the world’s lone superpower. The generations of Americans that have come before us embraced their freedom – along with an economic system that allowed for explosive growth and innovation – and helped us build a country that the Founders could barely have dreamed of. Today, that America is under assault. Irresponsible government policy, foreign pressures and a changing financial landscape are threatening our status as a nation. On the 4th of July alone, the United States will accumulate just under $4,000,000,000 in debt. According to USDebtClock.org, the total US National Debt is now more than $17.5 trillion, or $151,000 for every single taxpayer in the country. The Obama Administration is set to leave behind as much as $20 trillion in debt. This doesn’t even include the so-called “unfunded liabilities”, which includes the government benefits promised through government pensions, Social Security, Medicare, etc. This January, Forbes Magazine reported that the United States government will owe some $127 trillion more than it is projected to be able to pay for. These unfunded liabilities are catastrophic for American taxpayers and for the nation’s creditors alike. Taxpayers are likely to face higher taxes, and the federal government is in serious danger of defaulting on some of its debt if circumstances don’t change for the better. Additionally, the low interest rate environment of the past half-decade has kept the interest payments on the national debt artificially low. If rates rose to, say, 1980s levels, the interest payments alone could be higher than the total annual tax revenue of the federal government. If the credit rating of the US government is dropped and America is unable to find borrowers, the value of the dollar could see a plunge as current holders of greenbacks sell them off en masse. And those federal benefits that have been promised to so many? Without a drastic change, it is highly unlikely that those will be available to everyone who is relying on them down the road. Things don’t seem to be headed in the right direction, either. Despite campaign promises to deal with the debt problem, the Obama Administration has consistently upped the ante on borrowing money. The Federal Reserve has been printing recklessly for years. “Quantitative Easing” – the bond-purchasing program established by the Federal Reserve – has been injecting billions and billions of new dollars into the economy for years. Proponents of monetary stimulus have explained that printing more dollars and handing them to (mainly) large banks to lend back out is a necessary anti-recession measure. What they don’t tell you, at least not directly, is that this causes your prices to rise. Food costs and energy costs, among others, have risen dramatically since the calamity of 2007-2008. The phenomenon of inflation occurs when too many dollars are chasing too few goods: prices rise as the each individual dollar is less valuable. Inflation eats away at your savings and your income – really any assets denominated in cash. And now there are more dollars floating out there than ever. This makes it more important to hold valuables that aren’t damaged by a printing press, such as real estate or precious metals. The dollar is threatened both internally and externally. Internally by our Fed's policies, and externally by the increasing amount of nations dropping the dollar from their reserves and international transactions. In fact, the US dollar is the de-facto reserve currency of the world. Much international trade is conducted in dollars, even when the US is not involved (for instance, when Sweden and Greece exchange goods, like oil, the currency used for the trade is the US dollar), so most nations hold a large balance of dollars to facilitate this trade. This is an enormous asset to the United States government, who is able to print dollars without worrying about demand and inflate its way out of a massive debt burden. Now, China and Russia have agreed to trade with each other through inter-bank markets, not through dollars. These two countries (especially China) are major players in the global economy. If they cause a steep drop in the demand for US dollars, you could see greenback value decline even further. This is just another way that the Chinese might inadvertently help precious metals investors. As I have discussed earlier, China has been making waves in gold markets. It clearly doesn’t seem like you can trust the current leadership in Washington D.C. to responsibly handle the value of your currency. This is to say nothing of the external threats from competing governments. In short, investors should consider looking elsewhere to protect their own American Dream. 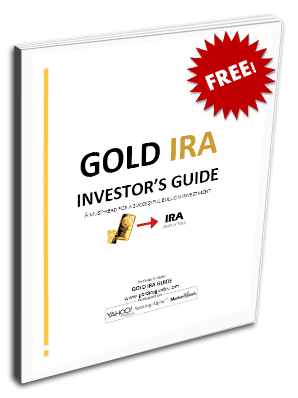 To learn about the advantages of holding physical gold, sign up for our Free Gold IRA Investor’s Kit today. In the spirit of the 4th of July, you might even take a look at the official American Eagle Gold and Silver coins as a way to show off your patriotism. It’s sad really… the dollar’s future is grim. I don’t know if Americans realize that the it would be doomsday for the US if the dollar is no longer the world’s reserve currency. I sure hope the higher-ups have a plan, because China and Russia surely have one! Yeah, Obama has a plan to sell us out to the UN under Agenda 21, as a third world nation. They are meeting in Mexico now, 8/25/2015, to plan for massive gun grab and takeover through Jade Helm military overthrow.